India's tourism ministry came up with the slogan, Incredible India! about a couple of years ago to attract foreign tourists, who are pulled in by the aura of mysticism that India offers. I never really believed in this slogan, as any country with known 5000 year history, would always have many unusual sites and places. However, one news item that has appeared in media today, has made me change my thinking. India is truly incredible. Readers might be wondering why I suddenly decided to change my opinion. Let me narrate the full story. It all began, more than hundred and fifty years ago or in the year 1857, when native Indian soldiers employed by the British army in India, rebelled against their British officers. The spark lit a huge fire and turned into a war of independence, when maharajas and Nawabs, who were defeated by the British in previous decades, decided to join the rebellion. The areas around the present capital 'Lucknow' of India's state of Uttar Pradesh were under the rule of Nawab of Awadh in those days, even though the real power was controlled by the British. There were many small but powerful landlords controlling large tracts of lands in this area. They usually bestowed upon themselves a title of a king or a 'Raja' and paid yearly taxes to Nawab of Awadh, who would then let them rule over their lands. In the Baiswada region, Rana Beni Madho of Shankarpur was one such landlord. When 1857 rebellion broke out, Rana Beni Madho, unlike many other small landlords siding with the rebellion, remained loyal to British and escaped any reprisal later, when the rebellion was quenched by the British. 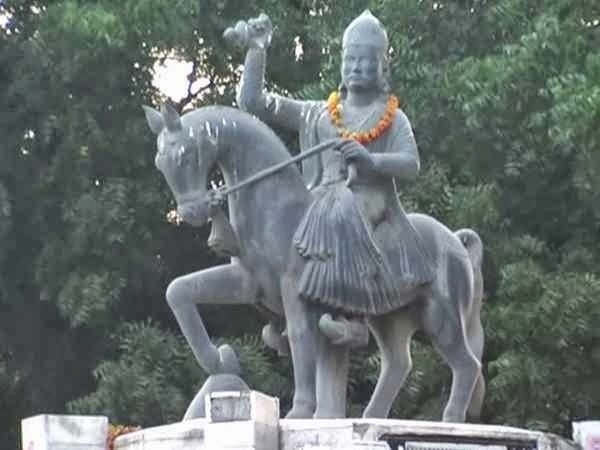 Rao Raja Ram Baksh Singh was a small landlord, who owned the lands near present village of “Daundiya Kheda' in 'Unnao' district of Uttar Pradesh state, on the bank of river Ganga. This place is located on 'Lucknow'- 'Kanpur' highway and is about km from Lucknow. He was a rich landlord and owned a gold and jewelery shop in the city of Kanpur. British historians label him as an outlaw, but truth could be quite different. 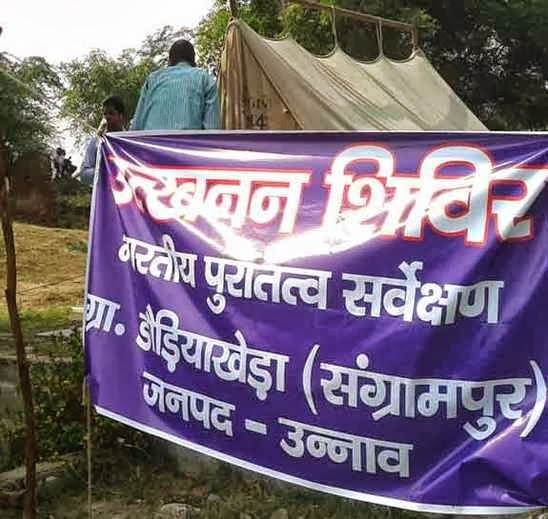 Unlike Rana Beni Madho, this small landlord joined the rebellion and helped the warriors who fought against British. When the British finally quenched the rebellion and started the reprisals, Raja Ram Baksh Singh ran away for his life. He was eventually found and was hanged by the British. Even since then, people have been wondering about the large horde of treasure belonging to Raja Ram Baksh Singh, which he is supposed to have hidden at some place in his lands. 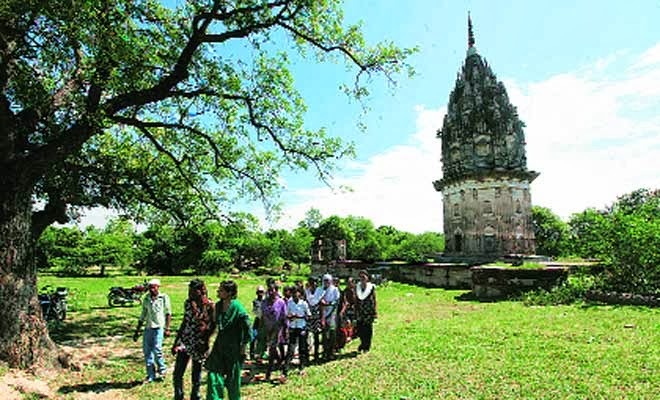 There is also an ancient Shiva temple in the village of Daundiya Kheda' in 'Unnao' district of Uttar Pradesh state, with a bit of macabre history attached to it, as fleeing British army from Kanpur city had taken a shelter here, and many soldiers, women and children were killed later by the rebel armies. The legend of hidden gold that belonged to Rao Raja Ram Baksh Singh, has been around for more than a century, but no one had taken it seriously and was always considered as a joke. 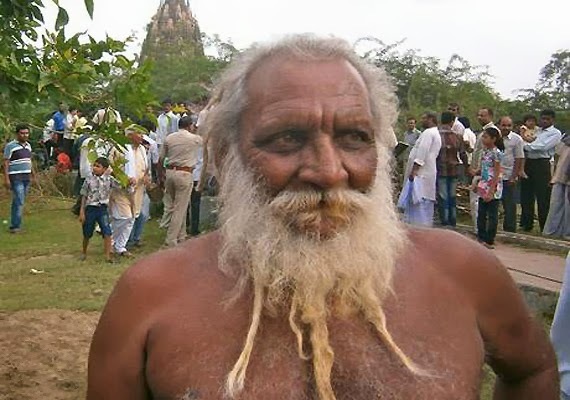 But now enters a 'Sadhu' (ascetic), Shbhan Sarkar, on the scene, who says that this late Rao Raja Ram Baksh Singh often comes to his dreams and tells him where the treasure is. 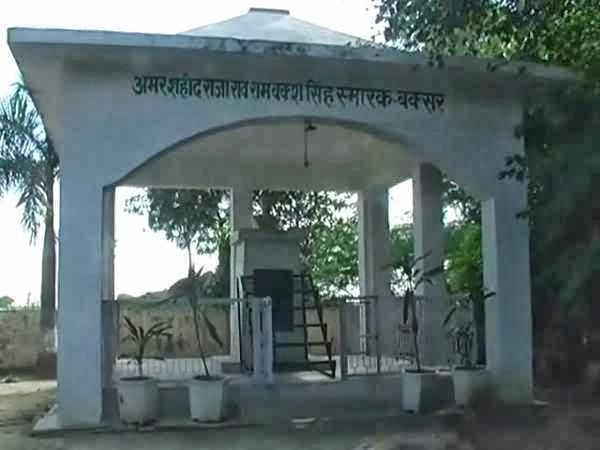 Shobhan Sarkar runs an 'Ashram' or a hermitage in the Unnao town and has considerable following there. He has done 2 years of college in his early life and tries to help village people by helping them to get irrigation projects like canals sanctioned by the authorities. He says that he has no land or money or a bank account. Sometime back, when Shobhan Sarkar heard that the government was contemplating taking custody of the gold in various temples because of the crisis with the Rupee, he got worried and decided to inform the local administration, the state government and even the Central Government about the dream. One of the federal ministers in the Indian Government at Delhi, Charan Das Mahant, who is minister of state for agriculture and food processing took him seriously and visited Sarkar's ashram on September 22 and October 7 and also visited the spot in “Daundiya Kheda' village where the gold is supposed to be hidden. Mr. Mahant, who belongs to Chhattisgarh state and not a local, says: "I was surprised. I then wrote to the Prime Minister, finance minister, home minister and mines minister and related departments such as the ASI and Geological Survey of India about the reserves. I informed Sonia Gandhi and Rahul Gandhi too about it," He set the Government machinery to work and since then, teams of the Geological Survey of India and the ASI have been visiting the place. There is mound of earth about 70 feet away from the Shiva temple in 'Daundiya Kheda' village, where the Gadh or the fort of late Rao Raja Ram Baksh Singh, once stood. Mr. Mahant says that the mines ministry has informed him that a survey conducted by them has confirmed the presence of underground metal deposits there. The exact spot happens to be near the statue of 1857 rebellion general, Nanasaheb Peshawa. "We are still searching for the exact location and whether there is any treasure. It is all in the future," he said. "We often just find pottery and metal antiquities, like agricultural tools or kitchen tools." The whole story is just unbelievable. Someone gets a dream or says he had a dream of a hoard of gold. He tells about it to a central minister. Then geological survey is carried out and now finally ASI would excavate there. What a story! Now you would know, why I have started believing in tourism department's slogan: Incredible India!